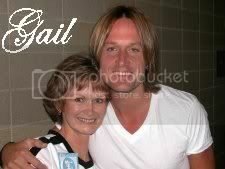 » KeithUrbanFans.com Message Board » KEITH URBAN DISCUSSIONS » ALL THINGS KEITH URBAN » KEITH ON "ELLEN" THIS MONDAY! Author Topic: KEITH ON "ELLEN" THIS MONDAY! Keith is scheduled to be on Ellen this coming Monday! It looks like he's actually going to sit down and talk!! This is going to be great! He was on about 20 minutes after start of Ellen. He came out, sat down and chatted with Ellen, then sang "Only You Can Love Me This Way." It was awesome and he looked and sounded terrific. The chat wasn't as long as I was hoping and not sure why. I was suprised they didn't talk much. It was lol watching Keith drawling. It was funn how Ellen stared at him and told him what a good looking man he is. I wish she'd actually interviewed him and maybe got him involved in some of the silliness on her show. That would have been cute! 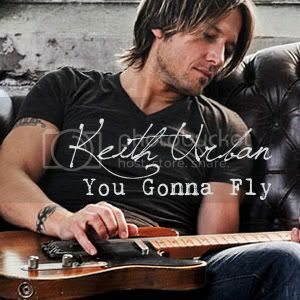 Keith's music and hearing him talk. to keep the picture he drew. Priceless.